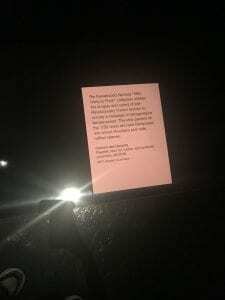 Post images of one object from the FIT exhibition. How does you interpret the object’s use of color? Does your interpretation align with the designer’s intention (according to the exhibition and your own research)? How does your object participate in the social conversation about color and gender? Upon my initial look at this piece, I noticed the pale girlish pink combined with layers of ruffles (which at first glance, I read as a very stereotypically female “costume”). However, upon taking the time to analyze the piece further, I noticed the way I pulled attention to the figure with the broad silhouette, and very pink fabric. I noticed that the shoulders were made broad with the ruffling details, which in a way, reminded me of the way mens suits are design to broaden the shoulder to mimic army generals: a symbol associated with power and importance. Upon reading the explanation of the piece, I realized that I was indeed meant to be a power piece. 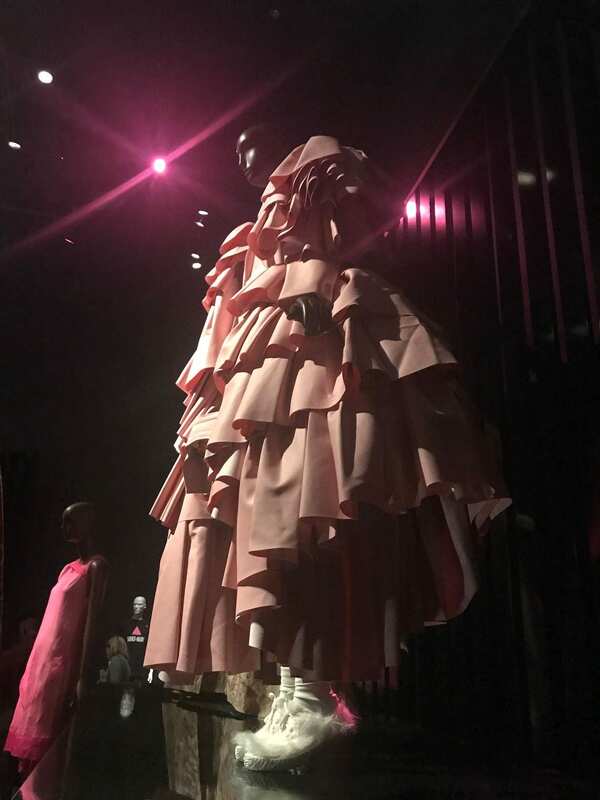 “Rei Kawakubo’s famous “18th- Century Punk” collection utilized the shapes and colors of pre-Revolutionary French fashion to convert a message of transgressive female power. The wide panders on the 1750 dress are here transposed into broad shoulders and wide ruffled sleeves”, reads the MFIT exhibition tag. This piece creates a powerful silhouette that reflects the freedom and female empowerment reflected within the Riot Grrrl subculture (a female punk culture). 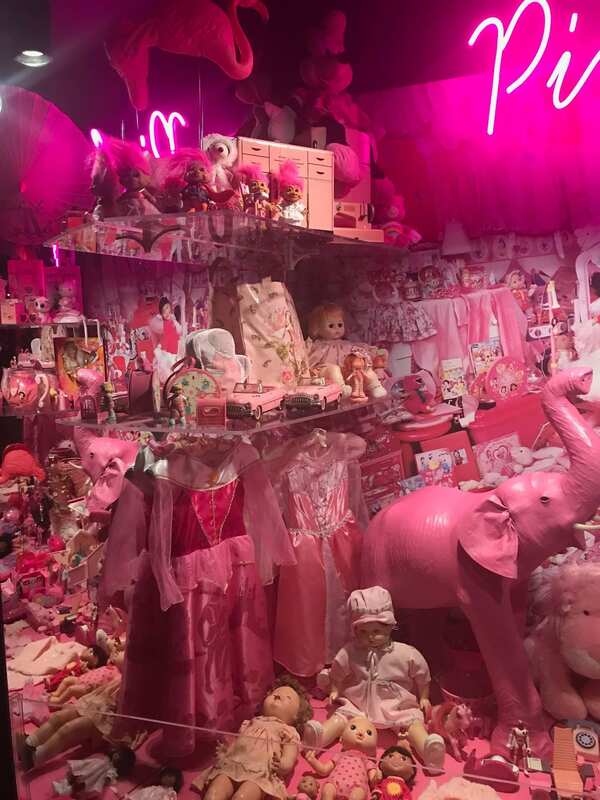 Traditionaly, pink is associated as a female color, “…Clothing and its culturally coded meanings (e.g., pink versus blue in contemporary U.S infant dress) become metaphor for gender. ” says Susan B Kaiser in her book “Fashion and Cultural Studies”. However, when mixed with this aspect of punk and female empowerment, the color looks strong, as if it is reflection that pink is just as powerful as blue, women are just as powerful as men. I believe this is why the MFIT curators included this piece in the exhibition. It shows how pink is strong, and how details that are traditionally thought of as soft and feminine can become powerful and bold.